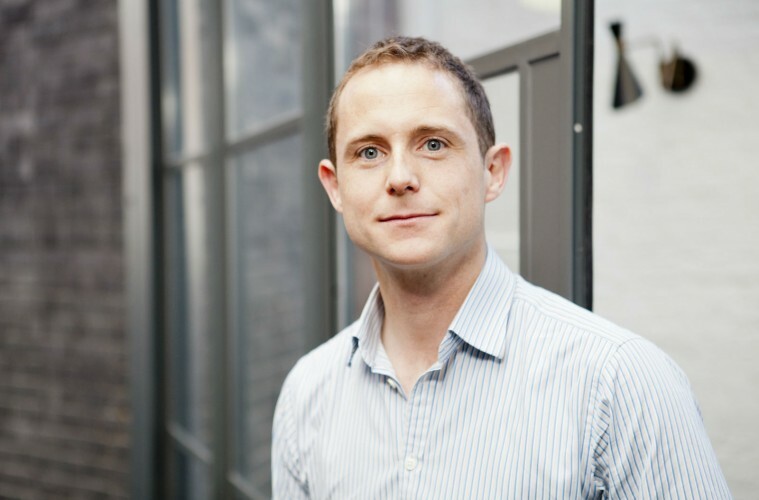 Simon Cocking, Senior Editor of Irish Tech News, talks to Balderton Capital’s Rob Moffat. Balderton are one of the continent’s leading technology venture capital investors, with more $250m+ exists in the last five years than any other European fund. Your background? What led you into what you do now? I grew up in London. Education wise, I did a Masters in statistics, then went to Bain for 5 years of consulting. During that time I studied for an MBA at INSEAD, where I found out more about VC, and began to think that it was really interesting. However, at the time (2004) VC in Europe was pretty moribund. I went back to Bain and then moved to Google for 3 years. There I managed the European Strategy & Operations team. Although this team was based in London, I spent a lot of time in Dublin. In 2009 the VC market in London was coming back and for some reason a couple of funds were interested in my combination of consulting and tech experience (despite my lack of startup experience!). Balderton had the best team and the best set up. 1 min pitch, why are Balderton Capital awesome? Balderton have 15 years experience of investing in early stage European tech companies, including billion dollar success stories such as MySQL, Yoox and Betfair. We focus solely on early stage European tech companies – not US, not growth phase! As we start working with a company at an early stage, we are quite hands on. We like to get stuck in and be as helpful as possible to our portfolio of entrepreneurs. What were the highlights of the last 12 months? There have been lots of brilliant moments over the last year working with our portfolio, but to pick just one highlight, I’d say working with the Prodigy Finance team. We invested in them early this year, and the business has grown hugely over this period. This is because they address a clear need, enabling international students to access opportunities at the world’s leading business schools, while offering a very good product to investors. Without Prodigy doing what they do, some extremely bright young people wouldn’t be able to achieve their potential. It’s easy to get passionate about what they’re doing! Anything that you’d do differently? I should have actually written a blog-post every fortnight, rather than just talking about doing it! I find writing the posts a really useful exercise, as it gets a group of people interested in what you have to say about a subject, and opens avenues of thought and conversation that you wouldn’t have wandered down before putting pen to paper. What are trends you excited about for the future? Insurance is the big one. It’s an age old industry, and there’s a lot of money in it. Connected devices open up lots more data for underwriting, mobile is the new distribution channel, and machine learning is replacing actuaries. What we need now is more smart entrepreneurs – particularly with a tech background – to get involved in the space. Pros and cons of where you are based? We’re based in Kings Cross, in London. A massive ‘pro’ is that London is the largest technology hub in Europe. Even though our investment team regularly travels throughout the continent, we know that we’re coming back to a city full of great tech entrepreneurs. We moved into our new HQ in December ‘14. Compared to our old space, it’s a lot larger, and it has been designed with our entrepreneurs in mind. Our entrepreneurs can drop in for brainstorms, board meetings or just a chat over coffee. We also host a whole calendar’s worth of events and workshops. The danger of being based in London is that you get lazy, and don’t get out to other cities in Europe often enough. We each take responsibility for a couple of startup cities, in my case Berlin and Dublin. While I spend a reasonable amount of time in both (more than my wife would like…) it is not the same as being there on the ground. What do you look for when investing? A great entrepreneur. To be more specific, someone who has a genuinely smart idea and is making that idea happen at great speed. Also, I need to see that they are learning fast. Nobody expects an entrepreneur to get everything 100% right 100% of the time, but constant improvement is a great sign. For example, take James Hind, who is the founder and CEO of Carwow. Creating Carwow was James’ first proper job after university, but you wouldn’t know it. Every time I meet with James he’s learnt more about his business and is A-B testing a number of new features to improve the product. Tips for startups to succeed? Ship product fast. Don’t waste too much time writing business plans, or having speculative, exploratory conversations. This process of debating and analysing your idea within the four walls of your office is only useful to a point. Releasing your product to market is far more useful, and you will learn a lot more. A team of two/three cofounders is the optimal number. One is too lonely and too hard, and four is usually too many. One of the co-founders must be technical. It won’t pay in the long term to outsource your tech to a third party. I’d urge entrepreneurs to aim for a sector that doesn’t already have hundreds of startups in it. If you enter a crowded industry and you don’t have something new or unique to offer, you’ll get crowded out. Life / work, online / offline how do you navigate a balance between these demands? You have to set limits. For me, I do everything I can to avoid working at weekends, as that’s family time. In the week, all of my hours are up for grabs until about 9pm. Another golden rule is that I never check my email before breakfast – I’m not good when I’m hungry. What’s your take on the Irish tech scene from where you’re sitting? Ireland has a really strong supply of entrepreneurs and tech talent. I used to travel to Dublin every month or so when I was at Google. It was amazing to see 2000 Googlers all in one place, with a mix of tech and sales skills. Every person was young, smart & ambitious. A great breeding ground for startups. Another great trait is that everyone is internationally minded, and ready to go global from day one. This can lead to founders leaving Ireland very early, usually for the US, for example Stripe and Intercom. This is understandable, but I’d love to see more of these companies staying in Europe for longer. Two of Balderton’s Irish investments, Openet and Globoforce, have expanded successfully globally while retaining significant operations in Ireland. Anything else you’d like to add / we should have asked you? I’m always looking for excuses to come to Dublin, so please give me one! If you’re an entrepreneur with a terrific idea, tweet me @robmoff!